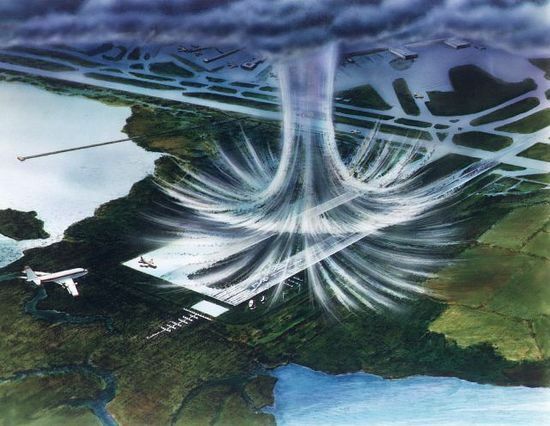 So here’s something you rarely get to see… a freaking rain bomb, or the technical term “microburst“! Yeah… I’ve never heard of that term either, but it’s actually really a thing. 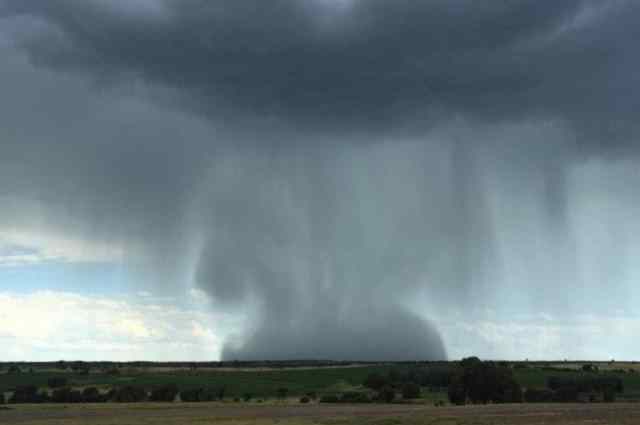 Basically, it happens when hot, dry air rises and mixes with heavy rain-bearing clouds. 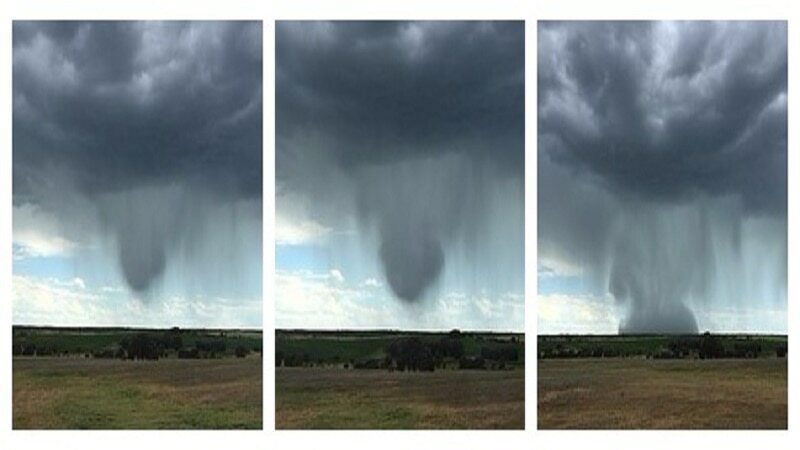 Most of the water droplets in the clouds evaporate, causing a swift cooling of the air around them… it then starts to sink. The falling air pulls the remaining raindrops with it, creating one hell of a downpour. Here’s the video captured during the process… it’s pretty cool to say the least. If you thought that was crazy check out the one that fell over Phoenix this year (HERE)! It’s even better.